Chuck D knows a thing or two about sampling breakbeats from James Brown’s records. The Public Enemy frontman has much to say about the recent passing of Clyde Stubblefield, one of the iconic drummers of James Brown’s influential band The J.B.’s. Stubblefield, ubiquitously known as “The Funky Drummer” due to Brown’s record of the same title — and one of the most sampled in music history — died at age 73 on February 18 from kidney failure. The Chattanooga, Tennessee-bred drummer’s work was heavily used by DJs as breakbeats during Hip Hop’s formative years during the 70s through the Golden Era of the mid-90s by artists including Public Enemy, N.W.A, RUN-DMC, Gangstarr, Beastie Boys, Wu-Tang Clan, LL Cool J, and countless other legendary rap acts. If you’ve ever heard Public Enemy’s great album It Takes a Nation of Millions To Hold Us Back or at least their biggest hit “Fight The Power,” then you’ve heard the funk flow from Stubblefield. 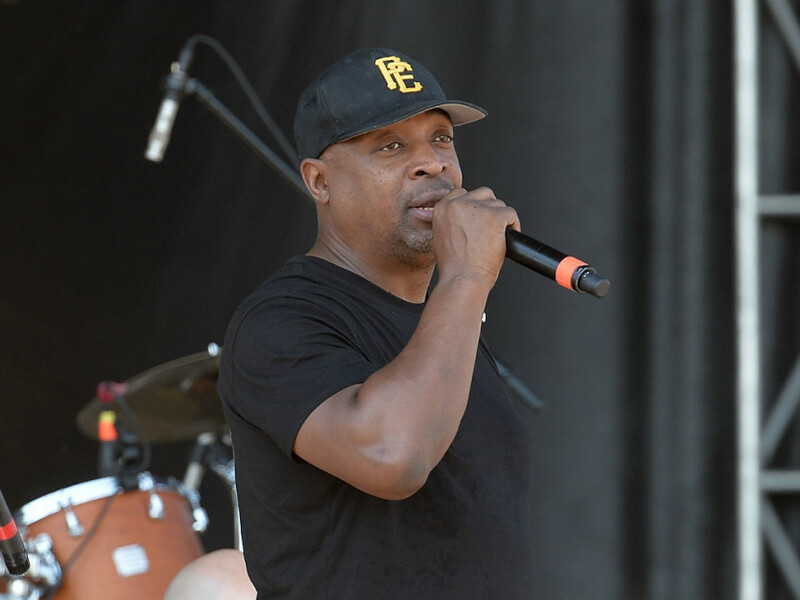 Chuck further detailed Public Enemy’s use of Stubblefield work’s as a template for producing their own greatest songs and albums, and how several rap acts have since taken from Stubblefield’s guidelines for making Hip Hop beats. “[Bomb Squad producer] Hank Shocklee was very adamant and said ‘Since Eric B. and Marley Marl were using aspects of James Brown, we could kind of use things to emulate James Brown and not just sample him. We could come up with the style of repetition, maybe holding the beat in one little area as opposed to a whole beat, or maybe going to the obscure part of the beat and holding that,’” Chuck explained. Chuck continued by explaining the importance of remembering consistency in Stubblefield’s legacy.